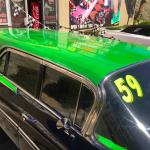 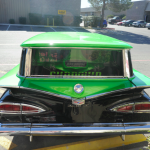 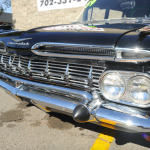 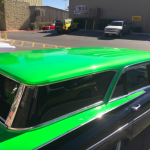 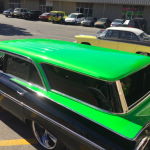 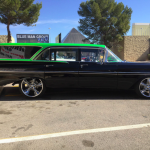 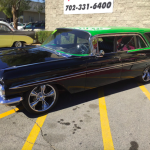 This is an outrageous one-of-a-kind 4 Door Chevy Wagon features a 350 ci V8 Motor with 4 bbl Carb and a Turbo Hydramatic 350 Auto Transmission as well as nearly new black vinyl bench seating, power steering and disc brakes on all 4 wheels. 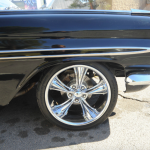 BOSS 18 inch wheels and air conditioning. 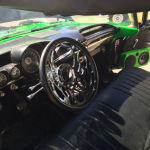 But the real show-stopper is its incredible audio / video system. 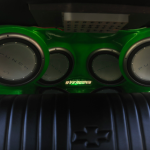 Specs include Sundown Audio 5A21500 Am 6 Rockford Fosgate P3 Punch subwoofers in a custom boz , 2 6x9s and 6 six inch round speakers in the door. 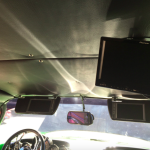 Pioneer System controller, 2 sunvisor monitor screens and 2 ceiling-mounted monitor screens for the backseat viewing. 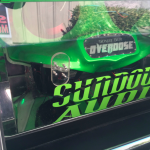 An Audiophiles dream car ! 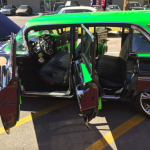 Has a custom chrome steering wheel, nice headliner, doorpanels and carpets. 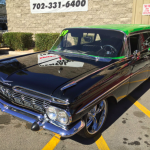 The Black and green paint is very nice.. just a couple slight but hard to notice imperfections in the body and paint, but mostly very nice. 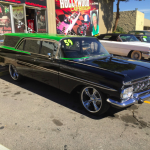 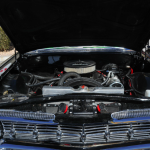 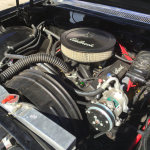 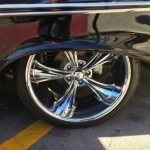 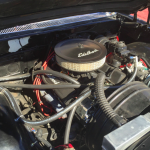 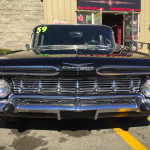 Sounds great inside and outside… Runs nice too !… the Bass on this car is incredible !!! 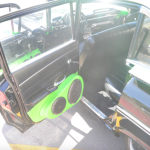 The bass speakers and amps take up the entire back cargo area, but well worth it.. that area lights up with green lights when you open the doors.